« Dell To Close Winston-Salem Plant ? 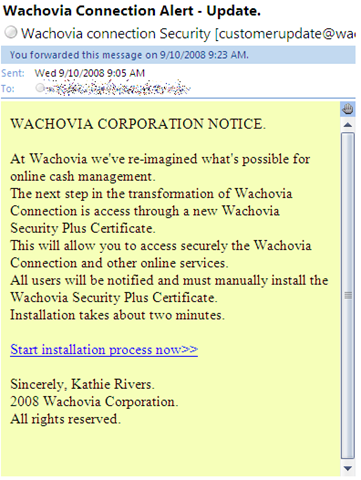 Kathie Rivers From Wachovia Sent Me An Email? Would somebody please tell who is clicking into these links because unless somebody was actually buying into these SPAM emails they would stop. So who are you people that keep clicking? 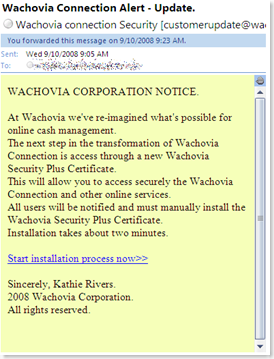 This entry was posted on Wednesday, September 10th, 2008 at 11:28 am and is filed under Technology. You can follow any responses to this entry through the RSS 2.0 feed. You can leave a response, or trackback from your own site.